GREAT HOLIDAY GIFT FOR THE BIKE LOVER! SWEET RIDE BIKE. IT’S A BEAUTY!!!! FULLY PAINTED BLACK TILL BARE FRAME. 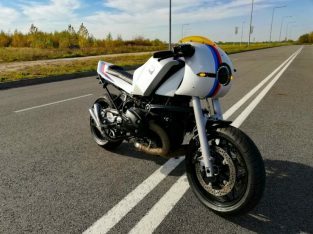 1985 BMW K100 . 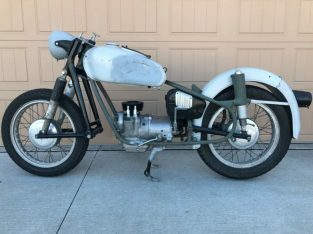 1000CC FOUR CYLINDER, 5-SPEED SUPER RELIABLE. 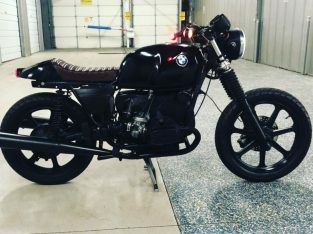 TOO MUCH TO LIST BUT HERE ARE A FEW OF THE CUSTOM UPGRADES: The seat frame/seat is custom, the stock muffler was shortened with a custom heat shield added, the speedo is custom, The black covers on each side of the radiator is custom made. The engine is stock with a modified wiring harness, NEW fuel pump system and ignition is stock. Brakes are stock, forks were lowered 2 inches, rear shock is stock. It has Tarozzi clip-on handlebars with stock levers and switches. 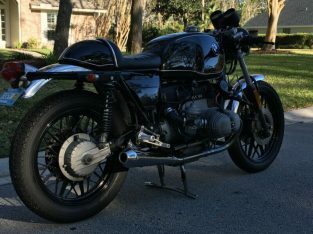 License plate bracket and turn signals are custom. 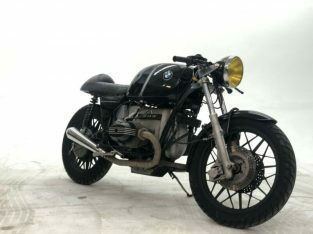 Condition: Used Year: 1985 Mileage: 1,275 Exterior Color: BlackMake: BMW Engine Size (cc): 1,000Model:K-SeriesWarranty: Vehicle does NOT have an existing warrantySub Model (Optional): K100 Vehicle Title: ClearType: Sport Touring For Sale By: Private Seller ANY IMPERFECTIONS THAT SEEM TO SHOW IN THE PHOTOS OF THE GAS TANK ARE REFLECTIONS AS THE TANK IS FLAWLESS WITH PERFECT BLACK PAINT AND NO DENTS OR SCRATCHES ONLY WEIGHS ABOUT 400 LBS. SINCE MODIFICATIONS SO GREAT HANDLING AND ACCELERATION. BIKE COMPLETELY DISASSEMBLED TO THE BARE FRAME AND REBUILT AS SEEN. CLEAN LIKE NEW BIKE. 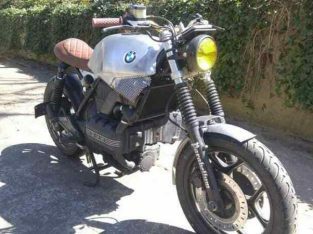 1985 BMW K100 . 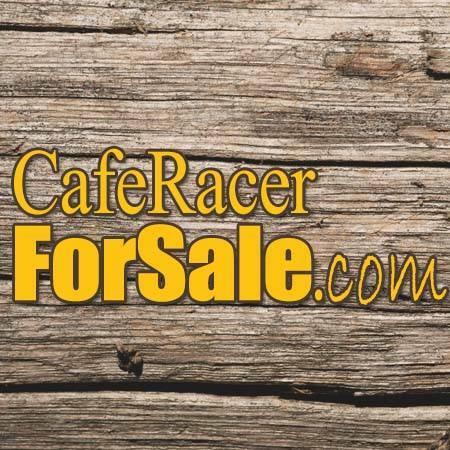 1000CC FOUR CYLINDER, 5-SPEEDSUPER RELIABLE. FUEL INJECTED.MODIFIED TO CAFE RACER OR BOBBER OR CUSTOMAS SEEN IN PHOTOS EVERYTHING HAS BEEN GONE THROUGH TO THE LAST NUT AND BOLT. ENGINE/GEARBOX HAVE 22,000 MILES FROM NEW SO NO REBUILD NEEDED, JUST NEW SEALS REPLACED AS PRECAUTION.NO OIL LEAKS WHATSOEVER. PRICE FIRM TO SELL TODAY!!! LOCATED IN MIAMI FLORIDA 33146 I CAN REFER A SHIPPING COMPANY. (ABOUT $500 NATIONWIDE) SHIPPING RESPONSIBILITY OF BUYER. ANY QUESTIONS, PLEASE ASK. THANK YOU!! PREFERRED PAYMENT METHOD VENMO OR ZELLE UPON PICKUP. CASH OR MONEY ORDER.